This is an interesting document from The International Commission on Microbiological Specifications for Foods (ICMSF). 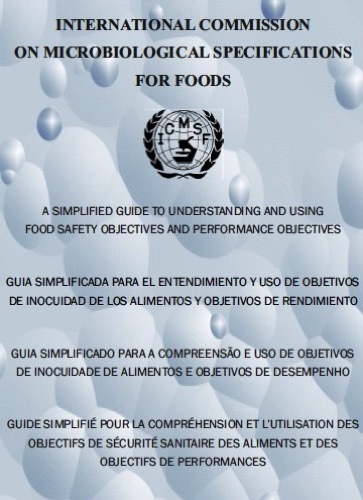 This is a short (12 page) document defining the different food safety concepts, such as HACCP, ALOP, FSOs and POs, from a conceptual and strategic perspective. Seems to be worthwhile to give the processor an overall understanding of “why” not just “what”. This entry was posted in Uncategorized and tagged food safety, HACCP, microbiology, Quality on November 15, 2014 by admin. This is a comprehensive manual, published by the FAO, that allows the user to carry out HACCP analyses and plans in preparation for the formal implementation by a certified practitioner. This is actually a training of the trainer document so also provides a broader background than a simple HACCP manual. Section 1 reviews principles and methods of training; Section 2 introduces and elucidates the Codex Alimentarius General Principles of Food Hygiene; and Section 3 explains the HACCP system and its implementation. 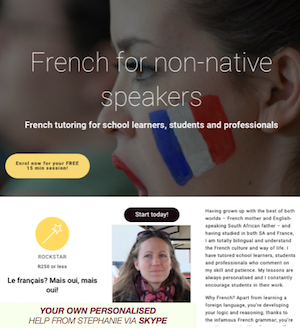 Each section is made up of specific training modules which can be combined and customized to meet the specific needs of the students. This entry was posted in ..Agribusiness/tech, .Food Processing, Food safety and tagged HACCP, Quality, safetyFAO on April 15, 2012 by admin. This document entitled “Cost-effective management tools for ensuring food quality and safety”is actually the instruction manual for training designed for small and medium agroindustrial enterprises. processing and analysing market information. assurance throughout the agrifood chain. support tool in quality and safety improvement programmes. to improve product quality and safety. Although written as the structure on which trainers can write their course, there is a wealth of good information in here. The information on marketing, market reseal and planning is very detailed but simply and clearly explained. Sections on improving quality and safety, implementing quality management in small enterprises and management of the process are equally useful. This entry was posted in ..Agribusiness/tech, .Agribusiness, .Consumerism, .Food Processing, Enterprises, Food Processing, Food safety and tagged food, Quality, safety, tools on January 18, 2012 by admin. This 28 page document is the Food Vision of the British Frozen Food Industry. Although the document considers the British industry it is packed with information that would be of value to anyone, anywhere considering entering the frozen food market. There are detailed sections on market, technology & quality, sustainability & social and nutrition. The report has large lists of references. Possibly as would be expected from a Frozen Food Association they are very positive about the future of the industry. This entry was posted in ..Agribusiness/tech, .African Development, Energy, Food Processing, Green / Sustainability, Market /Business, Technology and tagged frozen food, Markets, Nutrition, Quality, sustainability, Technology, UK, vision on December 5, 2010 by admin. This entry was posted in .Consumerism, Africa Bad and tagged milk, Nestle, Quality, South Africa, theft on November 25, 2009 by admin. Is this really a new technology? too often I’ve read about the next new drying technology but the changes haven’t been significant for many years. At the end of the day that cost is a major issue where many new technologies have failed. This seems to work on a combination of microwave heating and pressure to control the structure of the material in some kind of “black box” technology. The fact that the equipment is sold with a royalty income stream is also indicative of the company’s commitment to the technology. This entry was posted in Food Processing, Technology and tagged drying, food, fruit juice, microwave, pressure, Quality, Vegetables on March 7, 2009 by admin. I have blogged on the West African Tradehub before, but this is a look at specific information and an assessment of it practicality and applicability. Every small food business workshop surely lists export as an opportunity in their SWOT analysis. What the vast majority are unable to do is to understand the implication of a strategy that focuses on export. Therefore it gets written up and maybe posted on the webpage more in excitement and optimism that in expectation. This manual should be prescribed reading for the facilitator of such workshops, but more importantly seems to be a realistic HOW TO manual for a business wishing to consider the potential of entering and export market and also its checklist and directory as an exporter. The manual appears to be pretty comprehensive, but if anyone who has practical experience could offer feedback I would be happy to publish that here. 1.1. Why should your business export? 1.2. How does international trade differ from domestic trade? This entry was posted in .Agribusiness, Africa Good, Costs, Food Processing, Market /Business and tagged exporters, legeslation, manual, Quality, shipping, speciality food, standards, West Africa on February 25, 2009 by admin. Many consumers in South Africa believe that we do not get the best fruit, which is reserved for export. I was one of these people until I saw the display below in a supermarket in Cluny. I was also surprised to see that even Capespan was unable to ensure an attractive and organised in store display of the products it was distributing. This entry was posted in .Consumerism, Enterprises, Market /Business and tagged Capespan, France, fruit, pears, Quality, South Africa on May 16, 2008 by admin. This is a particularly nice idea where the biodiesel can be used to meet simpler energy needs such as lamps, cooking stoves and unsophisticated generators. However, this blog addresses few of the issues that will impact on the achievement of sustainable operation of this type of small production, especially at the bottom of the pyramid. A major quality problem arises when trying to use biodiesel in modern high technology engines. I am not sure that anyone can define where the difference comes between simple and sophisticated engines so doing it is a try & fail thing unfortunately – proper quality control and measurement is very expensive and not sensible on this kind of scale. The statement that Jatropha is “cultivated extensively for pure plant oil (PPO) as feedstock for biodiesel fuel production in India and Africa” is a misconception based on many optimistic publications similar to this one. In fact there is little biodiesel production taking place and only limited firm data on Jatropha performance and yield, which is of course at the heart on any successful production. The need to change fertilisation habits to give the byproduct of oil production a value is a significant undertaking. A final thought – does the oil not burn anyway? Diesel designed the diesel engine to operate on simple peanut oil, are we not complicating things by introducing the toxic chemicals and chemical wastes necessary for the reaction of the oil when we aren’t able to make the highest quality product. This entry was posted in .Agribusiness, Biofuels, Enterprises and tagged biodiesel, jatropha, Quality, yeild on May 12, 2008 by admin. The major problems that retailers highlight in their negotiations with potential small scale providers and especially processor are assurance of supply and quality. While large retailers often have quality management requirements that dictate systems to which the small scale processor must comply, the processor also needs a general background and understanding of quality and quality assurance. In addition, if they are selling to smaller retailers or directly to the consumer they require this information to ensure the quality and safety of their products on which their business depends. The FAO has published a document on Quality Assurance in small scale rural food industries written by Fellow, Axtel and Dillion. While this book was written in 1995, it is still essentially valid and is recommended because of its accessibility to small rural entrepreneurs. The contents page of the document illustrates its scope. It can be viewed at http://www.fao.org/docrep/V5380E/V5380E00.HTM but unfortunately is not directly downloadable. SAFPP is approaching FAO to try and identify more practical ways of providing access to this valuable document to entrepreneurs in rural areas where access to ICTs is constraining. This entry was posted in Food Processing and tagged Quality on April 4, 2008 by daveharcourt.